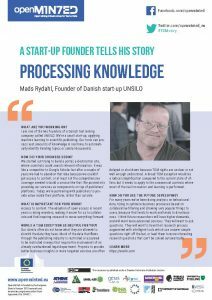 Mads Rydahl is the founder of UNSILO, a Danish start-up that applies machine learning to scientific publishing. OpenMinTed first spoke to Mads in early 2017 about his work. Recently we asked him for an update. Read the full interview below, or download a printable version to share with others. 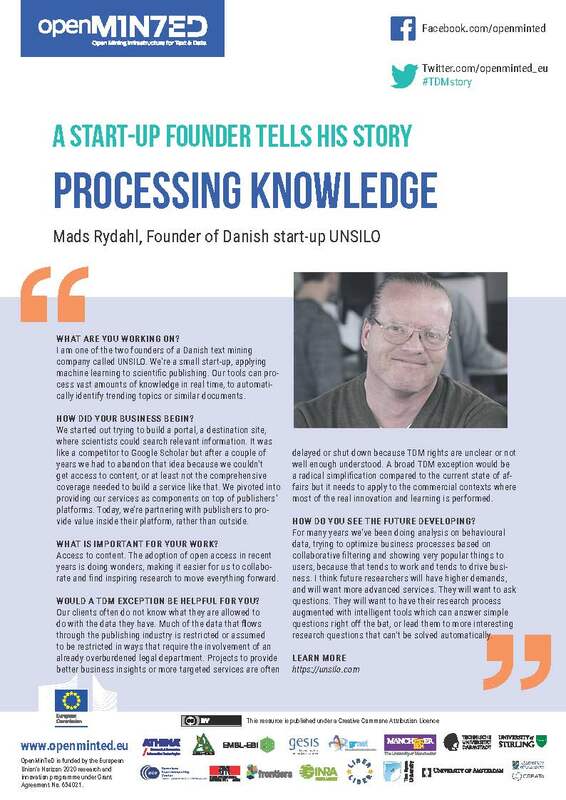 I am one of the two founders of a Danish text mining company called UNSILO. We’re a small start-up, applying machine learning to scientific publishing. Our tools can process vast amounts of knowledge in real time, to automatically identify trending topics or similar documents. We started out trying to build a portal, a destination site, where scientists could search relevant information. It was like a competitor to Google Scholar but after a couple of years we had to abandon that idea because we couldn’t get access to content, or at least not the comprehensive coverage needed to build a service like that. We pivoted into providing our services as components on top of publishers’ platforms. Today, we’re partnering with publishers to provide value inside their platform, rather than outside. Access to content. The adoption of open access in recent years is doing wonders, making it easier for us to collaborate and find inspiring research to move everything forward. WOULD A TDM EXCEPTION BE HELPFUL FOR YOU? Our clients often do not know what they are allowed to do with the data they have. Much of the data that flows through the publishing industry is restricted or assumed to be restricted in ways that require the involvement of an already overburdened legal department. Projects to provide better business insights or more targeted services are often delayed or shut down because TDM rights are unclear or not well enough understood. A broad TDM exception would be a radical simplification compared to the current state of affairs but it needs to apply to the commercial contexts where most of the real innovation and learning is performed. HOW DO YOU SEE THE FUTURE DEVELOPING? 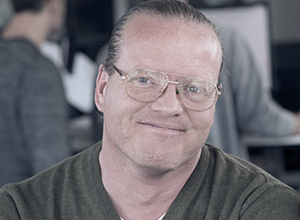 For many years we’ve been doing analysis on behavioural data, trying to optimize business processes based on collaborative filtering and showing very popular things to users, because that tends to work and tends to drive business. I think future researchers will have higher demands, and will want more advanced services. They will want to ask questions. They will want to have their research process augmented with intelligent tools which can answer simple questions right off the bat, or lead them to more interesting research questions that can’t be solved automatically.